BEA, short for Book Expo America, was wonderful! Conventions like this allow authors like me to meet other authors, to let our inner book fans out to play, and to say hello to some of the most important people in our storytelling worlds: librarians, booksellers, and readers. I was especially lucky to get to speak on several panels, including the Indies Introduce stage and the Middle Grade Editor’s Buzz Panel. 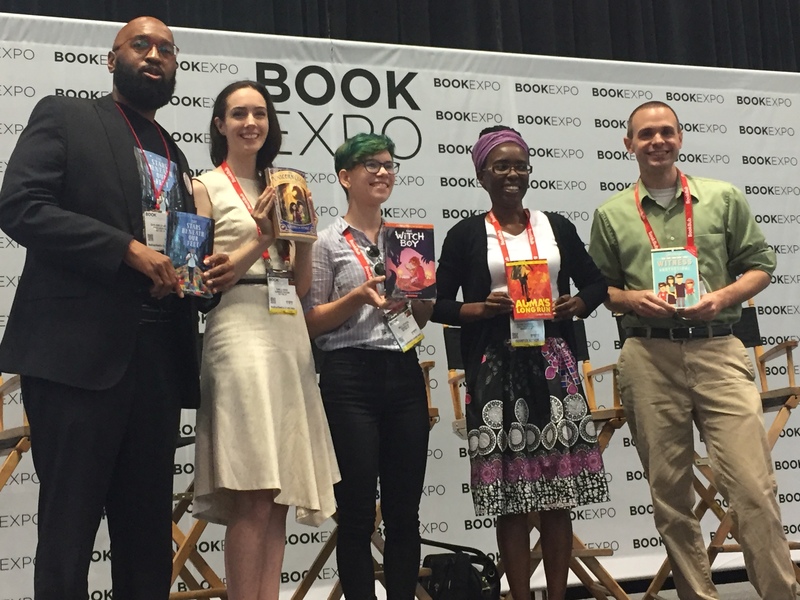 In doing so, I got to chat with David Barclay Moore, Kamilla Benko, Molly Ostertag, and Eucabeth Odhiambo, whose books I’m sure will be staples at your local bookstore and library for years to come.